Yes, it was the end of summer, but I couldn't help checking out the peonies at the University of Vienna Botanical Garden on my trip last week. This botanical garden is quite strict in its definition of botanical. The are several varieties of peonies. All of them are species peonies however, except for one Paeonia suffruticosa selection - perhaps because there are no longer any true representations of this species left. In this Vienna, Austria garden they grow their peonies in an open, oval bed surrounded by grass and trees (at some distance). The soil is flat and bare, not covered by any type of mulch. 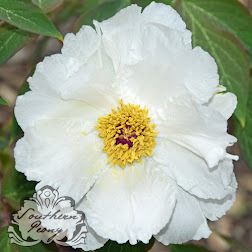 The species I found represented in their garden are Paeonia delavayi, Paeonia emodi, Paeonia lactiflora, Paeonia mairei, Paeonia mascula, Paeonia officinalis ssp. officinalis, Paeonia peregrina, Paeonia rockii, Paeonia suffruticosa 'Duchesse de Morny', and Paeonia tenuifolia. So they have 10 varieties of peonies growing there. 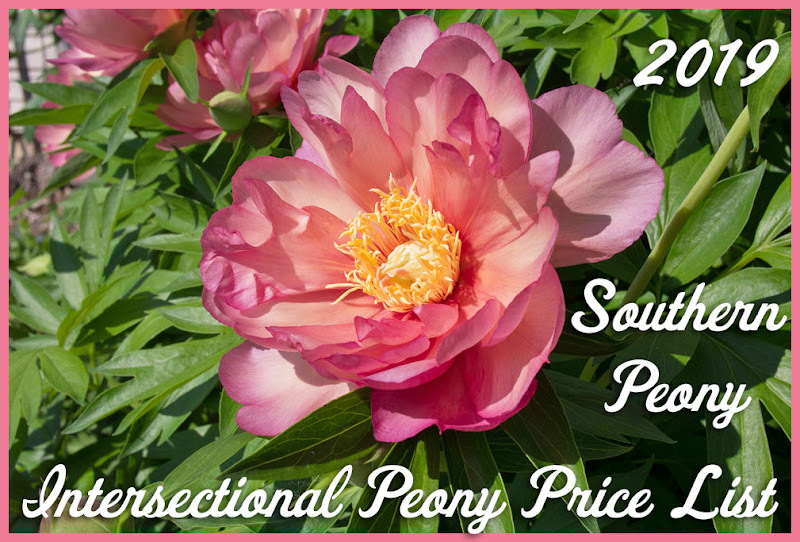 Not quite enough to be listed on the American Peony Society Peony Garden Map, but still worth a visit if you are in the area or are particularly interested in species peonies. I was quite surprised to find this particularly tall representation of Paeonia delavayi. I must admit I have never seen a P. delavayi peony growing this tall. It was almost as tall as me. The one P. delavayi peony plant I tried to grow here lasted for a few years, but each year it became smaller and smaller and eventually died. I will have to try again after seeing how successful their plants are. Also according to Wikipedia, the growing zone in Vienna, Austria is equivalent to a growing zone 8a, which is warmer than my own growing zone 7b. Someone's calculations must be incorrect. Perhaps mine is a bit warmer or theirs is a bit cooler. The temperatures here this week are still in the 80s for the last week of September, and their temperatures were in the 60s for most of last week. It also surprises me considering they seem to be able to grow the Paeonia tenuifolia (fern leaf peony) there, which does not grow at all here in my climate. I was also happy to meet this Paeonia emodi plant growing in their garden. I had never seen this plant before, nor have I ever seen its roots or seeds for sale. Its foliage particularly delighted me. The leaves are so long and wide too, very gracefully coming to a nicely symmetrical, pointed tip. It is supposed to have a pretty single white flower. Here are some of the other species peonies that were growing in the University of Vienna Botanical Garden. Please feel free to click on any photo to see a larger version.